The BBC is to suspend 3D programming for an indefinite period due to a "lack of public appetite" for the technology. 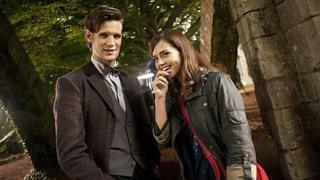 Kim Shillinglaw, the BBC's head of 3D, said it has "not taken off" with audiences who find it "quite hassly". The BBC began a two-year 3D trial in 2011, broadcasting several shows and events in 3D, including the Olympic Games and Strictly Come Dancing. Half of the estimated 1.5 million households in the UK with a 3D-enabled television watched last summer's Olympics opening ceremony in 3D. The BBC said 3D viewing figures for the Queen's Christmas Message and the children's drama Mr Stink were "even more disappointing", with just 5% of potential viewers tuning in over the Christmas period. In an interview with the Radio Times, Shillinglaw said: "I have never seen a very big appetite for 3D television in the UK. "I think when people watch TV they concentrate in a different way. When people go to the cinema they go and are used to doing one thing - I think that's one of the reasons that take up of 3D TV has been disappointing." Shillinglaw will return to her main job at the BBC, as head of science and natural history, when the project ends at the close of the year. "After that we will see what happens when the recession ends and there may be more take up of sets, but I think the BBC will be having a wait-and-see. It's the right time for a good old pause," she said. "I am not sure our job is to call the whole 3D race," she said. Last year's Wimbledon finals were the first programmes to be shown in 3D by the BBC. This year, the broadcaster will show both the men's and ladies Wimbledon semi-finals and finals in 3D. The free-to-air 3D Wimbledon coverage is only available to viewers with access to a 3D TV set and to the BBC's HD Red Button channel on certain platforms, but not Sky. Last month, US sports network ESPN announced it was to close its 3D channel in the US due to a lack of uptake. Recent figures from the US suggest no more than 120,000 people are watching 3D channels at any one time.